The American Trail Running Association works closely with the following organizations to help champion fun, safe & healthy mountain, ultra & trail running; advocate for trail access and promote competitive programs for runners of all ages and abilities. Founded in 2016 by experienced trail runner Gina Lucrezi, Trail Sisters' goal is building a community of Women, inspiring others to lead healthy lifestyles while adventuring outdoors and protecting earth’s playgrounds. 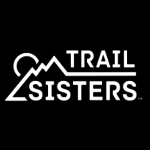 Trail Sisters' website features columns including Ask The Trail Sisters, Gear Reviews, Where to Run, Athlete Interviews and more. Founded in July 2013, the International Trail Running Association (ITRA) aims to give a voice to parties involved in trail running in order to promote the development of the sport and ensure a constructive dialogue between the national and international governing bodies. Recognized by the International Association of Athletics Federations (IAAF), the WMRA is the official international governing body of mountain running. The WMRA's mission is to stage and sanction international mountain running championships for elite, youth and masters athletes. ATRA executive director Nancy Hobbs is the WMRA treasurer. ATRA director of marketing Richard Bolt is the USA representative to the annual WMRA Congress Meeting. 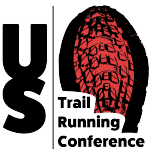 The next US Trail Running Conference, takes place in Estes Park, CO, October 9-12, 2019 with sessions for trail runners & trail race directors, combining to all things trail running with interactive workshops covering specific subjects critical to holding successful, sustainable & low impact events. The American Trail Running Association works with the Collegiate Running Association to increase exposure and awareness for trail and mountain running among college students. The Collegiate Running Association is a 501(c)3 non-profit organization founded November, 2013 with a mission to promote healthy lifestyles among college students by providing and expanding opportunities in the sport of running. USA Track & Field (USATF) is the National Governing Body for track & field, long-distance running and race walking in the United States. 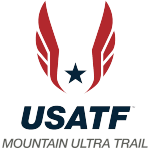 A division of the Long Distance Running (LDR) Committee, the Mountain, Ultra & Trail (MUT) Council oversees 7 national teams and a dozen national championship races within USATF. ATRA executive director Nancy Hobbs is chair of the MUT Council. ATRA director of marketing Richard Bolt is a member of the MUT Council Executive Committee. Skyrunning was the brainchild of Italian mountaineer Marino Giacometti, who, with a handful of fellow climbers, pioneered records and races on Mont Blanc and Monte Rosa in the Italian Alps in the early 1990s and founded the Federation for Sport at Altitude (FSA) in 1995. Today, the sport is managed by the International Skyrunning Federation (ISF) which took over from the FSA in 2008. Founded in 1958, The Road Runners Club of America (RRCA) is the oldest and largest national association of running clubs, running events, and runners dedicated to promoting running as a competitive sport and as healthy exercise. The mission of the RRCA is to promote the sport of running through the development and growth of running clubs and running events throughout the country. Got questions? We've got answers to your trail running & ultrarunning questions. Take a moment to contact us.